Each Krishi Vigyan Kendra has a Scientific Advisory Committee. The major functions of the SAC are given here under. Providing necessary guidance and leadership developing infrastructure facilities and thereby building the Kendra to fulfill its objectives. Consideration of the annual and five year plans of the Kendra. Reviewing the progress of the activities and achievements and offering necessary guidance or suggestions to improve the functioning of the Kendra. Approval of the Annual Accounts of the Kendra before the same is sent to the Chartered Accountant or Statutory Auditor for audit. Adoption of Statement of Audited Accounts before the same is sent to the Council. Approval of the recommendations of the Recruitment or Selection committee for appointment of staff on vacant posts. Agenda notes proceedings of the meeting of the committee shall be sent by the Programme Coordinator to the Zonal Project Director and the Council in order to keep the Council abreast with the functioning of the committee and act on the recommendations of the committee, wherever necessary. KVK should document each and every activity of KVK in detail. 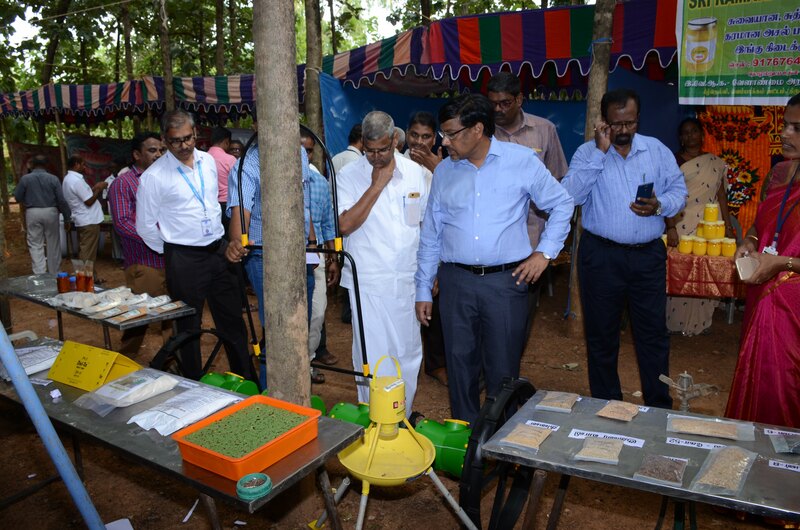 More number of awareness programmes on soil health have to be conducted. Increase the visibility of the KVK by telecasting & publishing the technical contents and other KVK activities through All India Radio, Television and print media. Groundnut based value addition products may be developed in consultation with CFTRI, Mysuru as the crop stands second in terms of area in the district. A separate sales counter should be established at the KVK to market the KVK products. Millet based enterprises in the IFS models may be included. The Farmers database should be updated periodically and the same should be uploaded in the software developed by TNAU. Impact studies should be taken up by the KVK for the larger adoption of technologies. 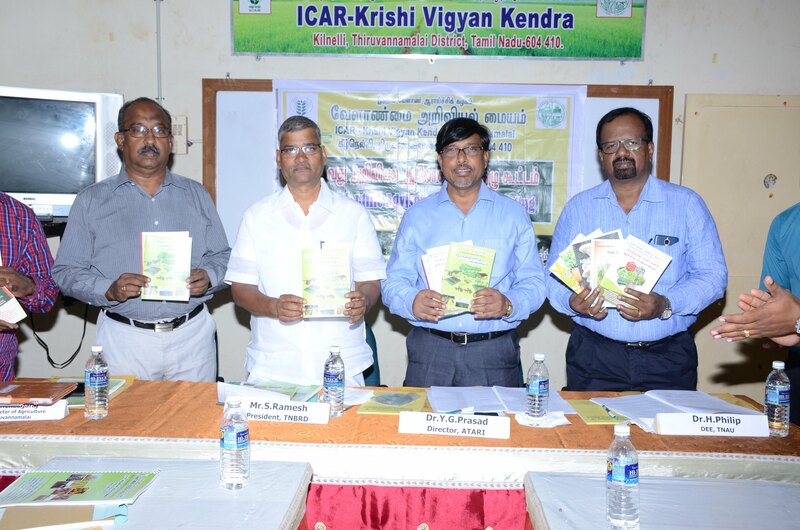 A scientific model of Integrated Farming System must be established in the KVK instructional Farm and the KVK should create awareness among the farmers on IFS models suited for Thiruvannamalai district. The line department officials may be invited and given time to speak about the schemes implemented by the concerned department during the trainings organised by the KVK. Awareness Campaign on Minor Millets in association with Centre for Excellence in Millets should be taken up. And more number of trainings should be conducted on minor millet value added products. The KVK should identify and spread the information on successful composition of Panchakavya for the better results as there are many such products available in the markets. Crop based exposure visits suited to the farmers of Thiruvannamalai should be arranged. If possible, a visit to Baramathi KVK should be planned with the farmers. More number of market based entrepreneurs should be developed by the KVK. More number of trainings can be conducted on value addition in little millet in collaboration with Department of agriculture as the crop occupies more than 5000 ha in the district. The KVK should circulate all the technical publications to the FPO’s and Farmers Clubs existing in the district. Give importance on water saving technologies and more number of demonstrations should be on farm ponds with the help of agriculture department. A case study and value addition trainings on lemon grass should be taken up by the KVK. The KVK should assist and guide the farmers in preparing the projects and recommend good farmers to the bankers for availing loans. The KVK should Promote and create awareness on cultivation of millets among the farmers through various training programmes. The Professor & Head, Sugarcane Research Station, Melalathur. Organic Jaggery preparation trainings should be taken up and A detailed study on Sustainable Sugarcane Initiative (SSI) without using the drip component may be taken up by the KVK. New techniques on Zero Budget farming should be developed and spread to the farmers and Importance should be given for the Promotion of agro forestry tree species by the KVK. The KVK should take more number of awareness programmes on the collective farming and The KVK should conduct more number of trainings on Organic Farming. Mrs.M.Sumathimoorthy, Farm women, S.V.Nagaram, Arni. Awareness and trainings should be conducted by the KVK on Bee Keeping and More number of IFS models should be established in the district.